For the past umpteen weeks I’ve been rocking the crochet hook with some serious vigor. I started a stash busting blanket I hope to share soon and I’ve been making swatch after swatch of crochet fabric. A lot of it has been to keep my hands busy, but it has also been about using up my very, very large amount of yarn I’ve accumulated over the years and doing something good with my crafting. But I’ll share more about that in another post. But I decided to go matchy matchy and I like it, also, but seriously Google moss crochet to see some fab versions with lots of colors! 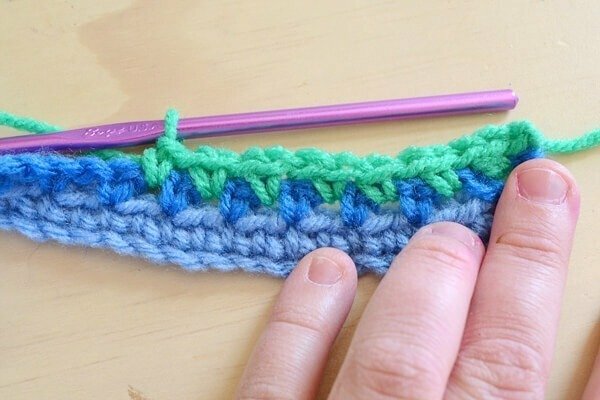 Grab your preferred crochet hook and let’s get after it! Chain an even number of times. 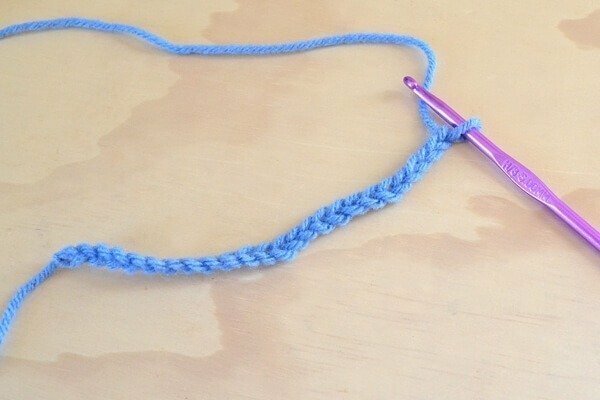 Turn and single crochet down the length starting with the second chain from the hook. 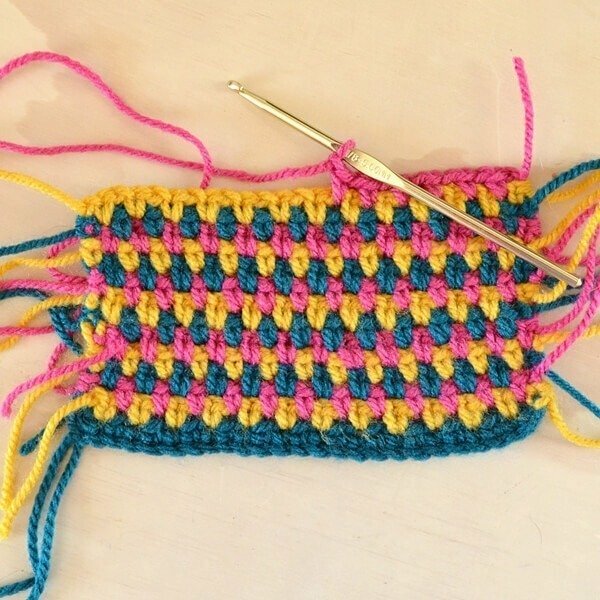 Change colors, chain one and single crochet in the first stitch. Chain one again. Skip the next chain. 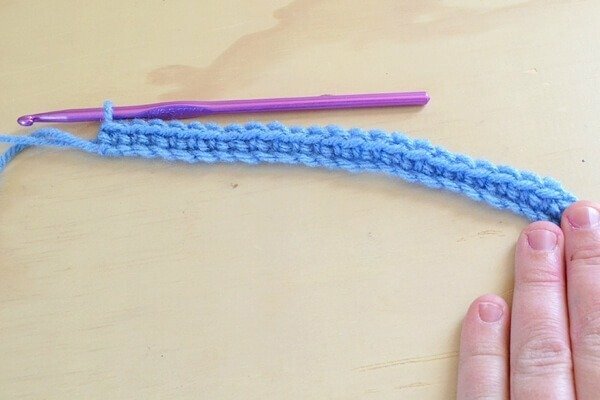 Single crochet in the one after the skipped. 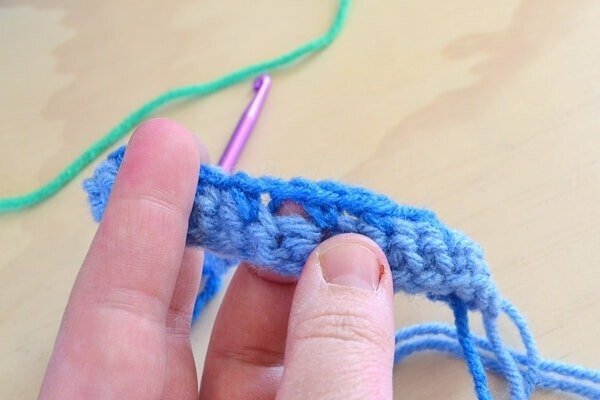 As you work this way, you’ll get a gap in between each single crochet. It might be kind of hard to see but if you stretch your work a bit it will be there! Keep on with this until you reach the end. Turn, change color and chain one. At this point this is super easy (not that it was hard before but now it’s a totally brainless activity if you need it to be). 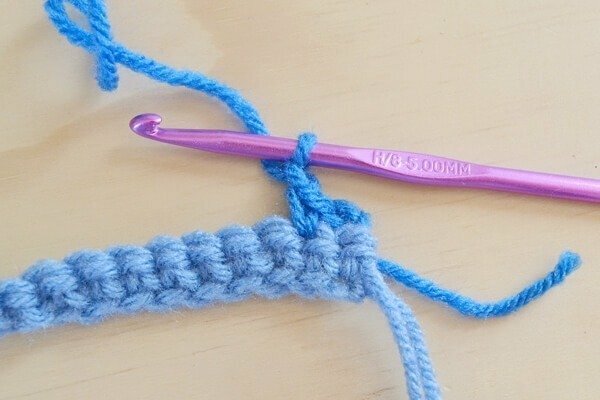 Simply single crochet in each of the spaces with a chain in between each creating the spaces for the next row you hook. And as you keep working and changing colors your gorgeous pattern emerges! When you’ve completed your size weave in your ends with a tapestry needle and you’re all set! What do you think? 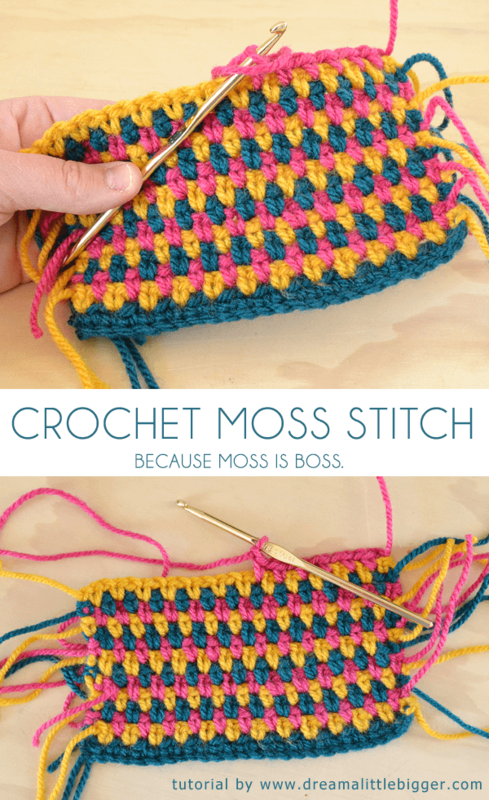 Is the moss crochet stitch all I seem to think it is? 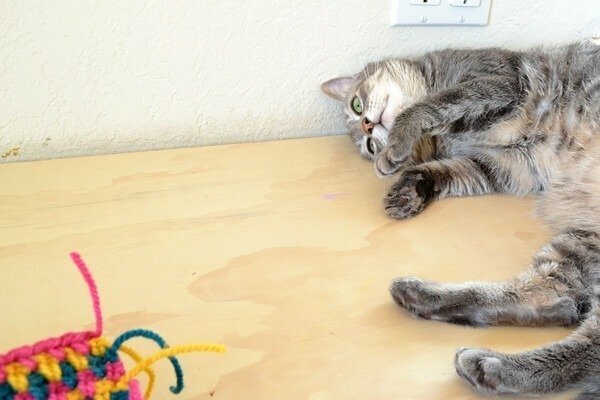 Oh, and before I go… kitty pic! 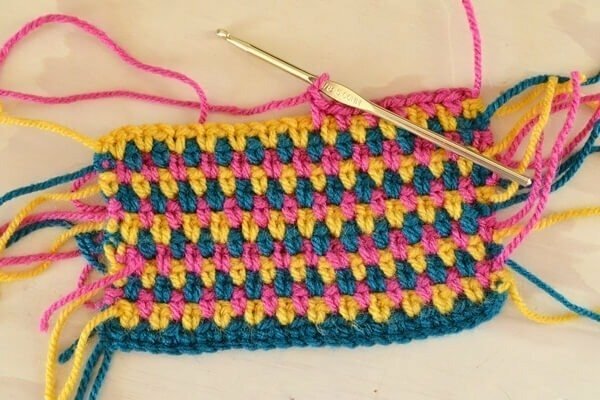 Saw this on Pinterest and had to jot down the pattern for myself – it’s awesome! Really like the opportunity to use up left overs from other projects! Love this! Your post is awesome! About to forage for some yarn and get started! Hi, Suzie… If yours is getting smaller and smaller, you’re missing a stitch here and there. 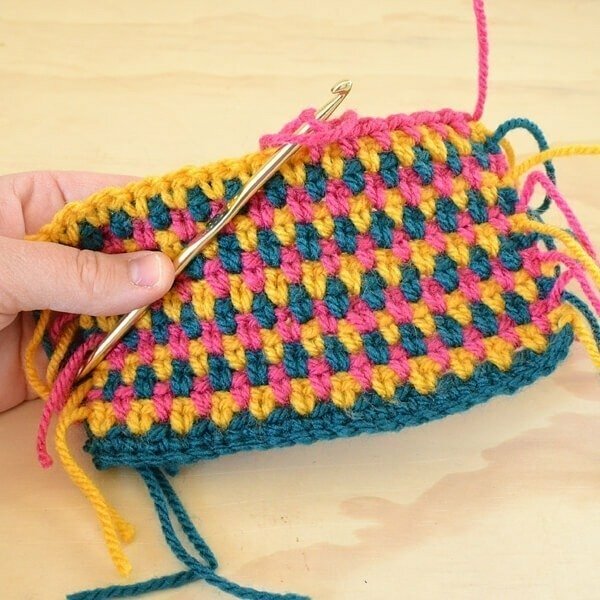 Start over and count every row and you will never lose another stitch! This is craft yarn from Hobby Lobby. 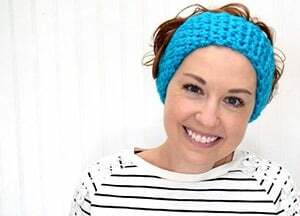 It’s sold in very small amounts near the latch hook supplies. I love to use it for swatches for tutorials but it won’t do for a regular sized project.